Tags and categories are two important tools you can use to help organize information in Liferay DXP. These tools help users to easily find the content they’re looking for through search or navigation. Tagging and categorizing assets is easy. You can tag or categorize an asset at creation time or when editing an existing asset. If you click on the Metadata section of the form when creating or editing an asset, you’ll find an interface for adding tags and categories. If no categories are available to be added to the asset (e.g., if no categories have been created), the Select option won’t appear. 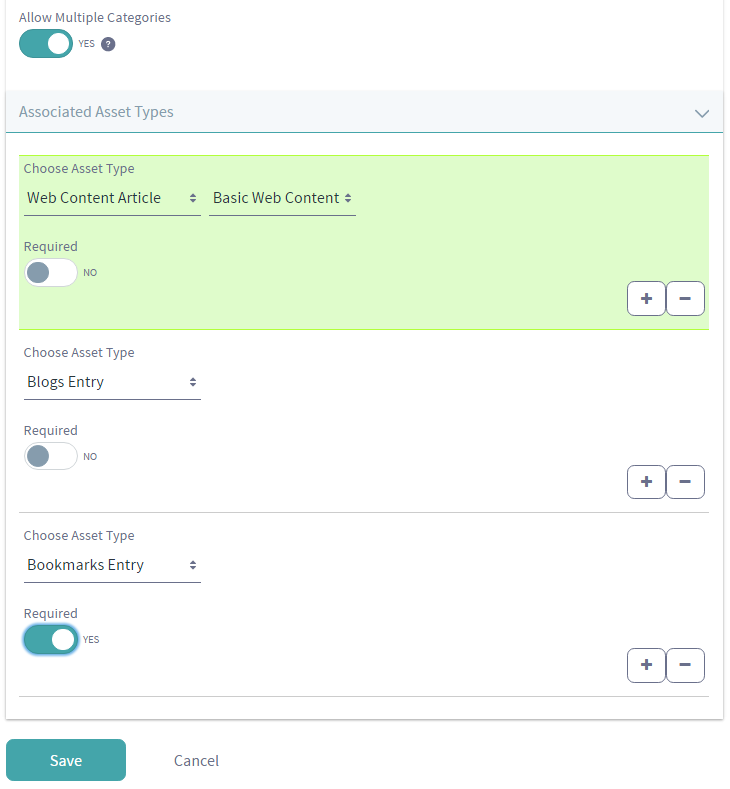 Figure 1: Here, the Web Content application’s form for categorizing a new web content article includes the categories Color and Type with Select options, since categories exist. 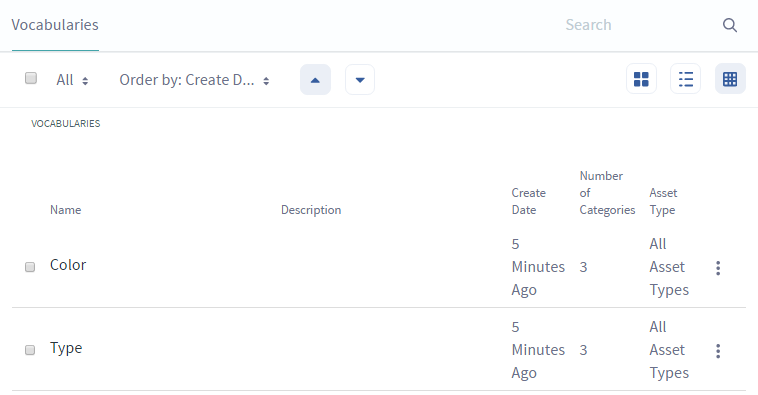 The Menu ( ) contains interfaces for managing tags and categories for each site in Liferay DXP. Navigate to the Site Administration menu → Content, and you’ll find the Tags and Categories options. These options can be used to manage all your site’s tags and categories. It is important that you both tag and categorize your content when you enter it. You’ll take a closer look at tags and categories next. Tags are an important tool that can help organize information in Liferay DXP and make it easier for users to find the content that they’re interested in. Tags are lowercase words or phrases that you can attach to any content on the website. Uppercase characters in tags aren’t recognized. Tagging content makes your search results more accurate and enables you to use tools like the Asset Publisher to display content in an organized fashion on a web page. There are two ways to create tags: you can do it through the administrative console in the Site Administration section of the Menu or on the fly as content is created. By default, tags can be created by regular users and users can apply them to any assets which they have permission to create or edit. While regular users can, by default, create new tags by applying them to any assets that they have permission to create or edit, only site administrators can access the Tags application in the Content section of the Site Administration area of the Menu. Here, site administrators can create new tags and edit any existing site tags. To create tags in Site Administration, visit the site for which you want to create tags and then click Content → Tags. From this screen, you can view existing tags and create new ones. To create a new tag, click the Add Tag icon ( ) and enter a name for the tag. Figure 2: The Add Tag interface is very simple, only requiring the name of your tag. The process for adding tags during content creation is very similar. For example, to create tags for a new web content article, navigate to the Metadata dropdown in a New Web Content menu, and add tags Lunar, Moon, and Spectacular. Once you’ve created the web content with these tags, the web content will be associated with those tag words when they are searched or referenced anywhere in Liferay DXP. Tags are not the only instance-wide mechanism for describing content: you can also use categories. Categories are similar in concept to tags, but are designed for use by administrators, not regular users. Hierarchies of categories can be created, and categories can be grouped together in vocabularies. While tags represent an ad hoc method for users to group content together, categories exist to allow administrators to organize content in a more official, hierarchical structure. You can think of tags like the index of a book and categories like its table of contents. Both serve the same purpose: to help users find the information they seek. Note: In previous versions of Liferay, you could specify web content types via portal.properties. In Liferay DXP 7.0, web content types are no longer used and have been replaced by vocabularies. Vocabularies allow users to filter their web content articles by category instead, which lets you filter your content using the Asset Publisher and faceted search. Adding vocabularies and categories is similar to adding tags. Visit the site for which you want to create categories and then click Content → Categories to view the Categories application. Figure 3: After adding new vocabularies, you’ll notice your vocabularies indicate the amount of categories existing beneath them. Clicking on a vocabulary displays any categories that have been created under that vocabulary. To create a new vocabulary, click on the Add Vocabulary button ( ). Enter a name and, optionally, a description. By default, the Allow Multiple Categories option is enabled. This allows multiple categories from the vocabulary to be applied to an asset. If the box is disabled, only one category from the vocabulary can be applied to an asset. The Associated Asset Types lets you choose which asset types the categories of the vocabulary can be applied to and which asset types are required to have an associated asset from the vocabulary. Lastly, you can configure the permissions of the vocabulary. Should the vocabulary be viewable by guests? Only site members? Only owners? Which of these roles should be able to delete the vocabulary, update it, or edit its permissions? By default, guests can view the vocabulary but only the owner can delete it, update it, or configure its permissions. Creating new categories is similar to creating new tags except that categories must be added to an existing vocabulary and they can only be created by site administrators. Once created, however, regular users can apply categories to any assets they have permission to create or edit. To create a new category, click the Add Category icon ( ) if you’re already viewing a vocabulary, or you can select the Actions button ( ) next to an existing vocabulary and select Add Category. Enter a name for the new category and, optionally, a description. Just as with tags, you can configure the permissions of the category, choosing which roles (guest, site member, owner) can view the category, apply it to an asset, delete it, update it, or configure its permissions. 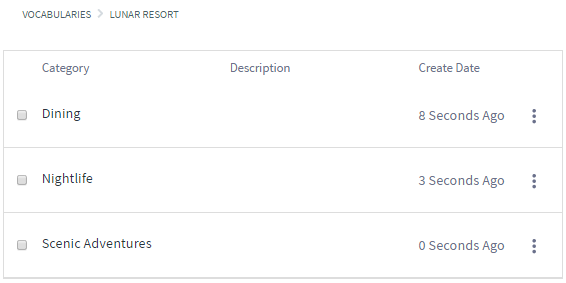 By default, categories are viewable by guests and site members can apply categories to assets. Also, you can add properties to categories. Category properties are a way to add information to specific categories. You can think of category properties as tags for your categories. Structurally, category properties are just like tag properties: they are key-value pairs associated with specific categories that provide information about the categories. Once you have created some vocabularies and categories, you can take advantage of the full capabilities of categories by creating a nested hierarchy of categories. To nest categories, select the Actions button for the category you’d like to be the parent category. Then select Add Subcategory, which adds a child category to the selected parent. After you’ve created a hierarchy of categories, your content creators will have them available to apply to content that they create. Click on Web Content in the Content section of Site Administration and click Add → Basic Web Content. Click on Categorization from the right-side menu and click Select on the vocabulary you’d like to apply. A dialog box appears with your categories. Select any relevant categories by checking the box next to them, and they’ll be applied to the content. Suppose you’re running a Lunar Resort shop called Lunar Fireworks and you have many web content articles describing the colors and types of fireworks you offer. The abundance of your articles is overwhelming, and as your shop grows, so too does the web content articles you’re required to manage. You’ve decided to categorize your web content based on the color and type of firework, so the articles are easier to manage. Navigate to Site Administration → Content → Categories and create vocabularies Type and Color. Make sure both vocabularies are only used for web content articles by clicking the Associated Asset Types dropdown and selecting Web Content Article. Create categories Fire and Smoke for the Type vocabulary and Red, Yellow, and Blue categories for the Color vocabulary. Now navigate to Content → Web Content in Site Administration and create an article called Red Rocket. This is your best selling product, so make sure to give it a detailed explanation and awesome picture. Select the Metadata dropdown for your web content article and select the Type → Fire and Color → Red categories. When you publish your new web content article for your best selling product, it’ll be organized by its type and color. Once you’ve organized all your articles, you’ll always be able to reference the type and color of a firework, just in case you forget. There are a few other cool features for vocabularies and categories. A few of them were mentioned already when the Allow Multiple Categories and Required selectors for vocabularies and categories were discussed. The three new features are targeted vocabularies, single/multi-valued vocabularies, and separated widgets for every vocabulary. Targeted Vocabularies allow you to decide which vocabularies can be applied to an asset type and which vocabularies are required for an asset type. To configure these settings, go to the Categories application in Site Administration and select a vocabulary’s Actions icon. Select the Associated Asset Types tab to reveal a dialog box like the one below. Figure 4: You can target vocabularies by checking the Allow Multiple Categories selector and then selecting the Asset Types. The default value for Associated Asset Types is All Asset Types. You can fine tune your choices by using the + and - buttons, which narrows the scope of the vocabulary to specific assets. In the screenshot above, notice that the vocabulary is configured to be available for Web Content articles and Blog entries, but it is not required. It is mandatory, however, for Bookmark entries. You can also decide if users can choose one or more categories from the same vocabulary to apply to an asset. If a vocabulary is single-valued you can only choose one. If it allows more, you can choose several categories from the vocabulary to apply to an asset. Figure 5: Multi-valued vocabularies allow multiple categories from the vocabulary to be applied to an asset. Single-valued vocabularies only allow one category from the vocabulary to be applied. Here, the Dining and Nightlife categories are selected to be applied but the Scenic Adventures category is not. 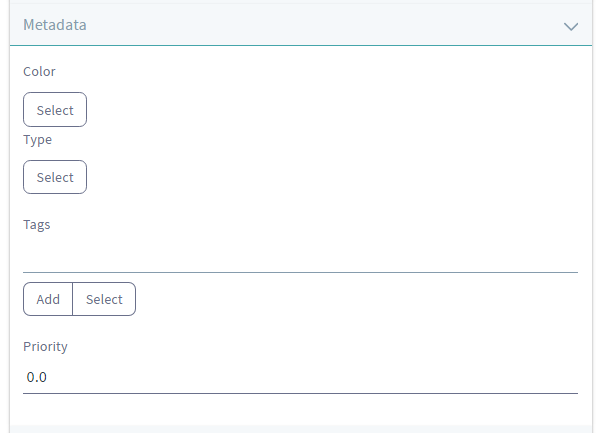 You can configure the single-valued or multi-valued status of a vocabulary through the Categories application. Edit a vocabulary and deselect the Allow Multiple Categories selector to create a single-valued vocabulary. Use the default option to create a multi-valued vocabulary. A third feature of vocabularies and categories is that every vocabulary has its own separated widget. 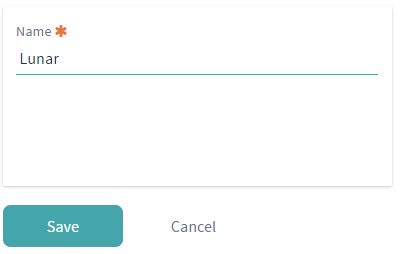 These widgets appear in the Categorization section of the form for editing an asset and they allow users to easily select appropriate categories for that asset. Figure 6: Vocabularies have their own widgets, making it easy to select available categories. It’s important to use tags and categories with all your content, so that content is easier for users to find. Now that your content is categorized and tagged, you’ll learn how to define content relationships next.